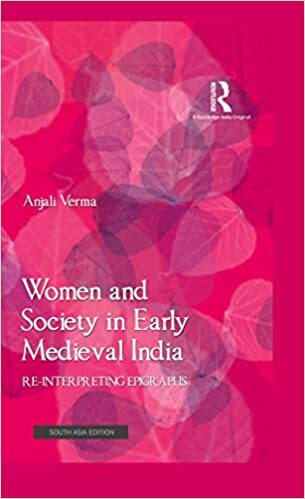 The book, written by Anjali Verma, titled as ‘Women and Society in Early Medieval India - Re-interpreting Epigraphs’ has been released during the Indian History Congress Session in Bhopal by a galaxy of eminent historians like R Mahalaxmi, BP Sahu, Irfan Habib, Ishrat Alam and Sucheta Mahajan. The book is an extensive pan-India study on women and society of the early medieval period (600-1200AC) through more than 650 epigraphs. Anjali Verma is working as assistant professor, department of history, Himachal Pradesh University, Shimla. She specialises in ancient Indian history, culture and archaeology. Threads of Life should not be mistaken for a docile, meandering read about the joys of sewing. On the contrary, you can expect insightful, moving and thrilling stories, as Scottish-born textile artist and curator Clare Hunter singles out textiles with historical importance and pulls them into tight focus by pairing each one with a theme such as power, captivity, identity, loss and protest. Hunter captures the sentiment perfectly: "Sewing is a way to mark our existence on cloth: patterning out place in the world, voicing our identity, sharing something of ourselves with others and leaving an indelible evidence of our presence in stitches held fast by our touch." Orkney, 931: A young woman flees her home to secure a life for her unborn child. Eighteen years later, a witch foretells that she must lose him once more. The subject of a Viking prophecy, it is Einar's destiny to leave Iceland and fight his father – of whom only only one will survive. As the clouds of war gather, he will fight unimaginable foes, forge new friendships, and discover what it truly means to be a warrior. Not everyone will survive, but who will conquer all? I was immediately drawn to the first two words - Orkney 931. Finally some new historical fiction set in the 10th century, and littered with actual historical characters that were, themselves, larger than life. 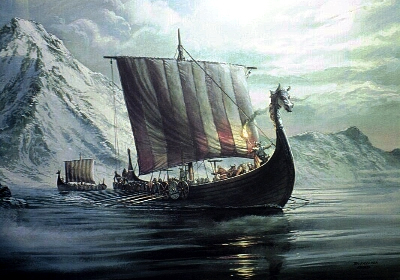 In the Scandinavian world, this was a period rife with political turmoil, with, at times, murderous power struggles between nations and families; it was an age of exploration and settlement as the Scandinavian world spreads out over northern Europe - to Greenland, Iceland, Scotland, Kiev; it was an age where old Gods were being replaced by one God, though in some instances it was hardly a smooth and voluntary process. Into this we are introduced to Unn Kjartinsdottir, a woman who fled her home and now must send her only son, Einar, out into the Viking world to face his fate. This tale is styled in the manner of your typical hero's quest - a young man come of age must go out in the world, seek his true identity, battle with heroes against villains, or with villains against others, and return home. However, in this instance, this is also a saga steeped in fact and history, that takes us on a journey that is far from straight forward - the Viking world was as combative as it was poetic. The story begins in Iceland - a land settled by those fleeing persecution or tyranny in the Norse Kingdom. As a fledgling nation populated mainly by farmers, the land is "ruled by The Law not Kings" with the Icelandic Free State coming into being in 930 with the establishment of the Althing (parliament). Its is about this time that Icelandic historians began to document the nation's history in books commonly referred to as the Sagas of Icelanders. Another topic discussed in detail is religion. The Norse Gods were still powerful influences in everyday life, whilst Christianity was still in its infancy. It wasn't until many decades after our story does the nation - as a whole - convert to Christianity (through an act of parliament). In fact new research has suggested that the eruption of the volcano Eldgjá in 939, may have been viewed as an apocalytic omen, signalling the end of the old Gods and the arrival of a new God as laid out in the "Vǫluspá" . 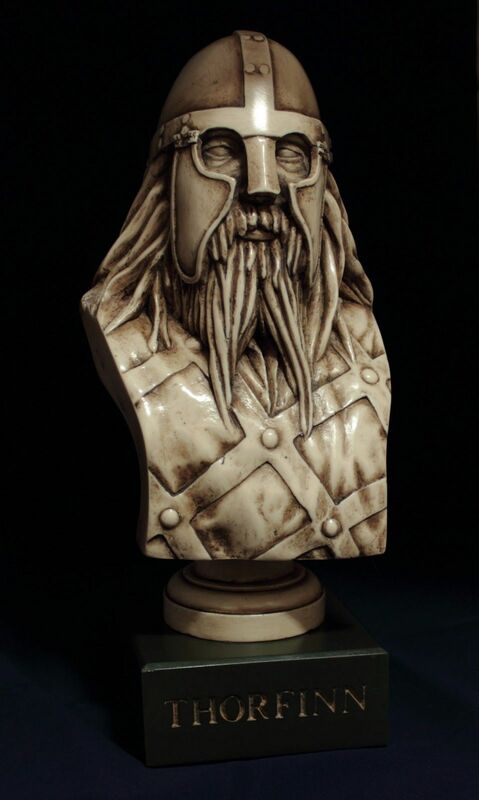 Thorfinn "skull-splitter": the Heimskringla of Icelandic historian Snorri Sturluson, and the anonymous compiler of the Orkneyinga Saga, write that Thorfinn was the most powerful of all the earls of Orkney. He is said to have been earl for seventy-five years and ruler of nine earldoms in Scotland, of the Hebrides, and of part of Ireland. A sizable part of the account in the Orkneyinga Saga concerns his wars with a "King of Scots" named Karl Hundason whose identity is very uncertain. Eric "blood-axe": Eric was the son of Norwegian King Harald Fairhair. According to the colourful Icelandic sagas he began his Viking career aged 12. On one expedition he met and married a witch called Gunnhild, the daughter of the king of Denmark. The sagas paint Bloodaxe – a name they gave to Eric – as a barbarian, a murderous tyrant whose savagery was shocking even by Viking standards. Contemporary evidence, mainly from the Anglo-Saxon chronicles, is less vivid. Guthfrith of Dublin: a Viking leader who ruled Dublin and briefly Viking Northumbria in the early 10th century. How he came to rule Dublin is often a matter of debate. He may initially have been a de facto ruler in his kinsman's stead, before heading to Northumbria to take control there. Six months later, after being ejected from Northumbria, he returns to Dublin, where he reigns and continues his wars against the Vikings of Limerick until his death a few years later. This was a world I was familiar with, having read many of the Scandinavian Sagas - a must if you are looking to delve deeper into this era. The tale that Hodkinson weaves in the Skaldic tradition is a page-turner - a gripping action adventure like the sagas of old; and once finished, you just want to go back and read it all over again. In fact the scene is set for more adventures. Synopsis: A respected professor is dead - shot in a crowded Zurich restaurant, in front of dozens of witnesses. The murderer calmly turned himself in to the police. So why has he now hired a lawyer to clear his name? And why has he chosen the drink-soaked, disreputable Spat to defend him? As he investigates, Spat finds himself obsessed, drawn ever deeper into a case of baffling complexity until he reaches a deadly conclusion: justice can be restored only by a crime. Interesting concept - a very public murder; a known killer; an unknown motive; an disorientating plot; the verdict - "justice can be restored only be a crime". The plot is very disorientating - one never knows whether we are looking back, looking forward, or are in the moment (as my copious notes will attest). This may be as a result of the length of time it took to complete the novel (approx 30 years); instead the story weaves and totters like its alcoholic narrator. The twist at the end ... clever. IRELAND, 1635: England had recently completed a military conquest, which was further complicated by the official policy of plantations. The early decades of the seventeenth century saw a large number of native Irish landholders (particularly in Ulster) being replaced by New English and Scottish protestant settlers, who totally dominated the colonial administration in the kingdom. They viewed their catholic neighbours with distrust and disdain, and actively discriminated against them. Most of the Irish upper classes, however, were not ideologically opposed to the sovereignty of the King of England over Ireland, but wanted to be full subjects of the triple Stuart monarchy and maintain their pre-eminent position in Irish society. This was prevented by their religious dissidence and the threat posed to them by the extension of the Plantations. The Protestant settler-dominated Government of Ireland tried to confiscate more land from the native landowners by questioning their medieval land titles and as punishment for non-attendance at Protestant services. In response, Irish Catholics appealed directly to the King, first to James I and then Charles I, for full rights as subjects and toleration of their religion: a program known as The Graces. On several occasions, the Monarchs appeared to have reached an agreement with them, granting their demands in return for raising taxes. However, Irish Catholics were disappointed when, on paying the increased levies, the King postponed the implementation of their demands. What was more, by the late 1630s, Thomas Wentworth, Charles' representative in Ireland, was proposing further widespread confiscations of native land to break the power of the Irish Catholic upper classes. It is likely that this would eventually have provoked armed resistance from Irish Catholics at some point, but the actual rebellion was sparked by a political crisis in Scotland and England that led to civil war in the three Kingdoms. Richard Burke, 4th Earl of Clanricarde, was an Irish nobleman and politician, in addition to being one of the leading landowners in Ireland. His power and influence in Connaught was the source of increasing animosity between himself and the acquisitive Dublin government, who decided to use the method of empanelling juries to "find" defective titles, in order to recover the lands in question for the English Crown. And yet, as Viscount of St Albans, Burke had official immunity from these recusancy proceedings. Thomas Wentworth, 1st Earl of Stafford, whose tenure as Lord Deputy of Ireland would have long and damaging consequences (It is likely that this would eventually have provoked armed resistance from Irish Catholics at some point, but the actual rebellion was sparked by a political crisis in Scotland and England that led to civil war ), was not above using a method of bullying and curated jury selection in his persecution of Catholics as he made his way through the west coast of Ireland in his quest to secure lands for the Plantations. Oure Soverane Lord With advyse consent and assent of the whole estaites acknowledging his Majesties Soveraigne authoritie princelie power royall prerogative and priuiledge of his crowne over all estaites persones and causes quhatsumevir within this kingdome Ratifies and approues the act of parliament maid in the yeir 1606 Anent the kings royall prerogative And perpetuallie Confirmes the same for his hienes his airs and successors Als amplie absolutelie and frielie in all respectis as ever any of his Majesties royall progenitors did possess and exercise the same . . . The jury subsequently find themselves imprisoned in Dublin castle (Aug 1635) and a substantial fine (or ransom) is imposed on Ulick Burke, who has now succeeded to the lands of Clanricarde upon the untimely death of his father, for their release. Meanwhile, Faolán Burke is sent to Dublin to spy on Thomas Wentworth, with two aims: to free the imprisoned jurors and to discover any dark deeds that could force King Charles to recall Wentworth to England. This shouldn't be too hard as Wentworth was collecting enemies through not upholding the promises to return lands back to the landowners in return for their full support. In politics, however, nothing is ever quite that simple. 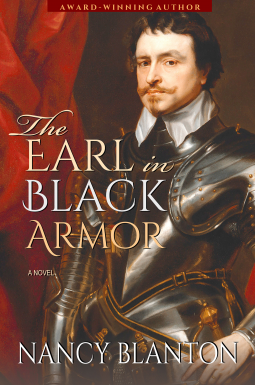 The story of Thomas Wentworth is played out through the eyes of Faolin Burke, who is now in his service and travels freely with Wentworth throughout England and Ireland, and is there to act witness. The view of Charles I during this period is not that of a benevolent and popular figure - here he is portrayed as a tyrant, who has crippled his subjects with taxes and forcing them to war. In London and elsewhere, bloody riots and fires result in the King's termination of Parliament - chaos and arrest soon follow. Wentworth laments "... never came a man to so lost a business ..." and yet he still continues with his unpopular policies in his service of the King ".... I am but a servant. I must stand by my beliefs .."
Without delving further and revealing all, this is a well researched and crafted tale, which keeps the reader wondering just how far into Wentworth's career the author is taking them. This is one in a series, though can be read as a stand alone novel. It is long as there is much to encapsulate, and a knowledge of the period is recommended. 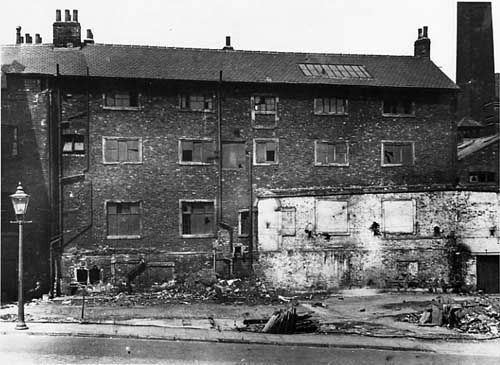 Leeds 1895: DI Tom Harper and Sergeant Ash stop in at 13 Copper Street to call on recently released Henry White who is about to reveal why he was in receipt of stolen goods.Then there is another death and an acid attack in a bakery owned by a former police inspector. Can the two solve the crimes before yet another takes place. Between 1790 and 1840, Leeds changed beyond all recognition. A market town vanished forever, to be replaced by a landscape of mills, factories, foundries and dye works. Chimneys now dominated the skyline, pouring out black smoke and noxious vapours. Leeds was truly experiencing the excitement, drama and impact of the Industrial Revolution. By 1893, Leeds was described as being: "a great hive of workers... whose products have the whole wide world for their market... her nine hundred factories and workshops, monuments of the wealth, industry and mercantile prestige .."
But the working classes, the overcrowded cottages, back-to-backs, cellar dwellings and lodging houses remained notorious for their cramped and insanitary conditions. Many children lacked even a basic education there being only half the number of places available in various educational institutions compared to the actual number of children (source: Census 1870). With the increased levels of pollution and squalor came disease - scarlatina, diarrhoea, measles, fevers, smallpox, diphtheria and whooping cough - and cholera and typhoid. The local river was being used as a dumping ground not only for dead animals but also ‘thousands of tons of ash, slag, cinders, refuse from mines, chemical works, dyeing, scouring and fulling, worsted and woollen stuff, shin cleaning and tanning, slaughter, house garbage and sewerage from towns and houses’. 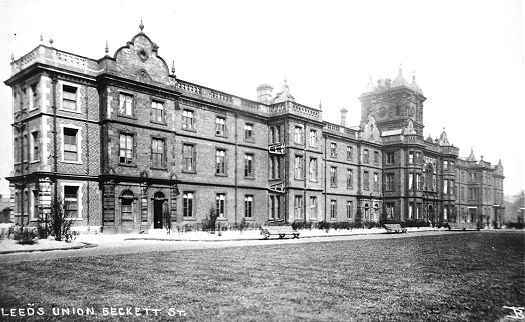 Of course Leeds wasn’t unique in struggling to deal with overcrowding and poor sanitary conditions as well as the diseases and premature deaths that went hand in hand with poor living conditions. But Leeds was slow to face up to its problems and to take action. The major changes that were needed for the city didn’t take place until the 1890s. Only then were there huge slum clearances, a re-planned city centre, a vastly improved water supply, and a leap forward in education provision for children. This came about as a result of a change in administration, a change in personnel, a broader social representation within Leeds Council, and more acceptance of central government involvement, along with public opinion more favourable to welfare provision. Our story is told against this backdrop and over the course of a two week period, with the author providing the reader with a realistic look into life in the 1890s. The burgeoning police force was often up against rampant crime and the communal wall of silence; life was harsh; the workhouse often dominated the social landscape; and the suffragette movement was in its infancy. All of this made for a nice historical context which was well researched, and presented throughout the story though discreetly. I hadn't read the others in the series, but will most likely go back to the beginning and start again. Having said that, it was easy to catch up and get a sense of the interaction between the main characters. The plot was teased out chapter by chapter and clues dropped like proverbial breadcrumbs. All in all, an enjoyable read and a fascinating insight into the history of a regional city. Allmen, an elegant bon vivant and fine spirit, has come into financial difficulties over the years. Five magical Art Nouveau bowls put him and his factotum Carlos on a business idea: a company for the recovery of beautiful things. The birth of an unusual investigator duo and the launch of a wonderful crime series. International heist mystery that is slow to start and a little confusing with regards to timeline. The present and the past are blurred into one for the first two parts of the story before the story kicked off when we arrive back in the present. The addition of noticeable paragraphs to signify the end of a story sequence would have worked well. Johann Friedrich van Allmen is the antihero, who finances his lifestyle through thefts and insurance frauds, using theft as a means also to pay off his creditors. After a night on the town with a mysterious and ethereal woman results in an opportunity too good to pass up - the theft of a Galle bowl featuring a dragonfly. Allmen becomes perplexed when the hue and cry is not raised, and so decides to relieve the owner of even more of the collection. With the introduction of an school chum, Terry Werensbusch, Allmen decides that there is more than meets the eye and has his manservant, Carlos, dig a little deeper. Its is only when Allmen seems to come out on top do things actually come crashing down and all that he has helped himself to is taken away. The mysterious manservant Carlos is a refreshing character; and the setting of Switzerland makes a nice change of scenery. A decent enough storyline sets the tone for the series, and Allmen and Carlos decide that there is money to be made (and lots of it), in the recovery of lost items. Like all good crime fiction, this story is based upon real events. 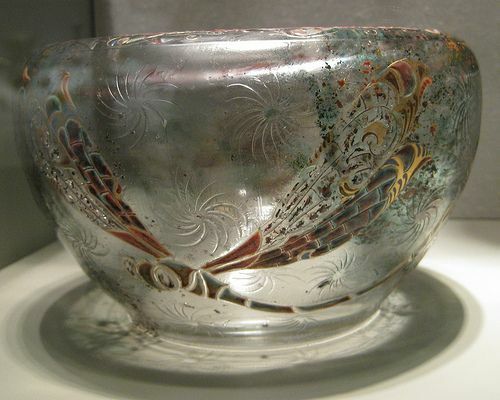 In October 27, 2004 in Gingins, Switzerland, glass artworks by Emile Galle were stolen from the Neumann Foundation. A reward 400,000 Swiss Franc was offered. Set two years after "dragonflies", Allmen and Carlos are now running "Allmen International Inquiries" - a business that recovers various things for reward. Allmen is hired to find a missing "pink diamond" and thus begins an unusual game of cat and mouse with various interested parties on the trail of a missing Russian IT expert. One wonders what a mysterious Russian has to do with a missing pink diamond, and just who else is on the trail and familiar faces keep re-appearing. Always, just when things seem to be over they actually pick up again; and just when Allmen seems to be on the up and up, things come crashing down around him. This second outing is a much more stream-lined story (editing & layout issues from book one attended to), and the development of the main characters - Allmen and Carlos - is nicely fleshed out. Carlos is by far the most interesting character with still an air of mystery surrounding him. 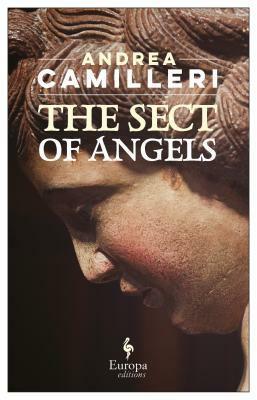 I enjoy the premise of fiction based upon true events - and Camilleri makes use of an event from 1901, when a lawyer, Matteo Teresi (dc.1970), awaiting a decision on his membership to a private social club, decides to investigate an epidemic of miraculous pregnancies among the towns' young women. Sicily 1901: This was a period of political turmoil; from the mid 1840s, the northern part of Italy supported the partisans of Garibaldi for unification against the royalists (the Bourbons) who still ruled in the south (including Sicily). Decades of rioting and revolt ensued until the royalist were ousted and a new regime installed, supported by troops from Piedmont. The Church was losing ground and many of its institutions, including schools, were being closed. Italy at this time was akin to a police state. In the outlying smaller towns and villages, the Church and local aristocracy still held sway, as did the emerging mafia clans, and the people continued to thumb their noses at what the considered interference in local affairs by a government that ruled in absentia. What the lawyer Teresi will find is a wall of silence built up by key (and often conflicting) elements within the small community - the Church, the Mafia, the Nobility. It is not hard to identify with Teresi, and shake your head at the head-in-the-sand attitude of the simple (yet uniquely characterised) townsfolk who would prefer that the crime be swept under the carpet rather than face the horrible truths - an "enforced community silence on the religious prostitution of their women ..". His investigation leads him to be denounced as a troublemaker, and the more he searches for the truth, the backlash begins and his career is slowly being ruined - "... they were scorching the earth all around him ...". 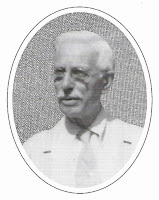 The real Matteo Teresi was forced to flee to America (1907) where he became an advocate of Italian immigrants, writing a number of articles. 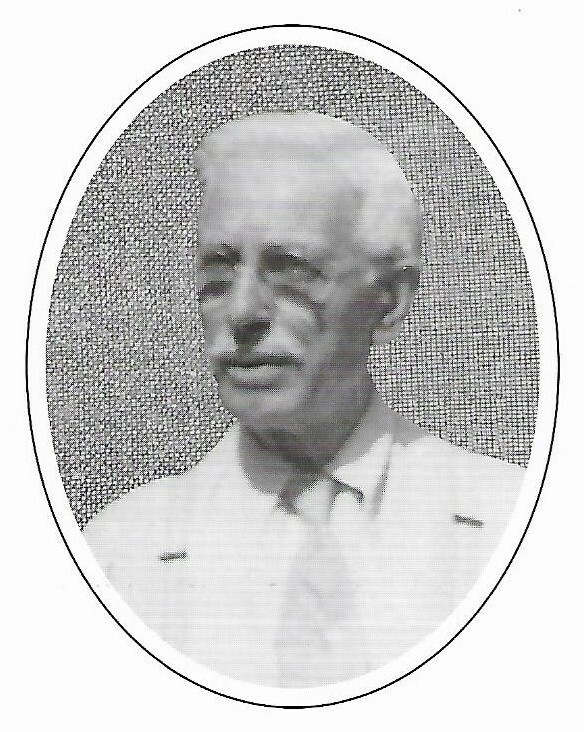 I was interested in discovering more of the history and the person of the real Matteo Teresi, but found very little on him except for a number of articles he had written. I found even less on the real-life events, which I have narrowed down to quite possibly have taken place in the town of Alia in the provence of Palermo c.1901. It was said of true history: it seems to understand from her note that she crossed it by chance: is it so? "Exactly: sifting through the preface of the former mayor of Alia, Gaetano D'Andrea, to the anastatic reprint of a collection of articles by Matteo Teresi, a humanitarian socialist lawyer. I found the book in my hands I don't know how: intrigued entitled, "With the homeland in the heart", I started reading it. Needless to say, the story of the priests who found a secret sect in order to mobilize young virgins who were still virgins struck me: it was a case that crossed the Strait causing the indignation of many political and religious exponents, including Turati and Sturzo: a socialist and a priest who are together, on the same side of the barricade ". "The lawyer Matteo Teresi, who also had a degree in pharmacy, writes fiery articles on his magazine. With the result of incurring the wrath of the bishop of Cefalù, who organizes a solemn and reparative procession. In the end, with broken bones , he is forced to take arms and luggage and leave for the United States. In short, to come out is the usual, old Italian vice: that of turning the complainant into a denounced one, the innocent into guilty, the judge into a criminal ". 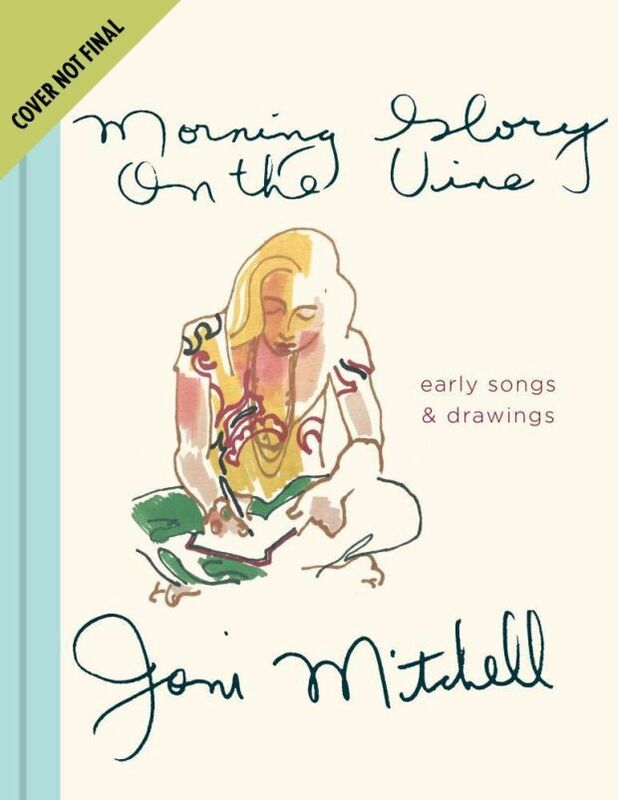 A rare book of lyrics, poems and illustrations that Joni Mitchell created for her closest friends more than 40 years ago is to be commercially published for the first time this autumn. The Canadian musician put together Morning Glory on the Vine in 1971, the year her album Blue topped charts around the world. Collecting lyrics, poems and more than 30 of her paintings, just 100 copies were hand-produced in Los Angeles for her friends. “Existing copies of this labour of love have rarely been seen in the past half-century,” according to the singer’s website. The book features handwritten lyrics and poems, along with watercolour paintings depicting “a superb array of landscapes, still lifes, portraits of friends, self-portraits, innovative abstractions, and more”. The publication is part of celebrations of Mitchell’s 75th birthday year, which have also included a tribute album and concert. Why have most of us never heard of Marie–Madeleine Fourcade? Why is her name missing from the honor roll of war heroes carved into thousands of monuments in hundreds of French village squares? Might the fact that this hero — the leader of one of France’s most successful anti-Nazi resistance organizations — was not a hero, but a heroine, have something to do with her absence from history? There is reason to believe so. At the end of World War II, the triumphant Gen. Charles de Gaulle designated 1,038 people as resistance heroes. Only six of those heroes were women, and Fourcade, who ran the longest-running spy network, was not among them. In “Madame Fourcade’s Secret War,” her fast-paced and impressively researched account, Lynne Olson corrects that historical injustice. Marie-Madeleine Fourcade emerges as a vivid and pivotal player in the French Resistance. Olson writes with verve and a historian’s authority. Fourcade, she tells us, was beautiful and liked men, but she was obsessed with defeating the despised Boches. A master of disguises, she frequently changed her hair color, and sometimes used distorting dentures and other theatrical tricks. 2018 was an annus horribilis for freedom of the press. Reporters Without Borders announced that 63 professional journalists were killed, of whom 49 were specifically targeted for death by an army or rebel group. The most famous journalistic killing came on October 2, when agents of the Saudi government murdered and dismembered Jamal Khashoggi, a Saudi dissident and columnist for The Washington Post. The conditions endured by journalists in war zones are portrayed in chilling detail in Lindsey Hilsum’s new book on war correspondent Marie Colvin (In Extremis). A staff reporter for The Sunday Times of London, Colvin died on February 22, 2012, aged 56, in Homs, Syria. The Syrian army, honing in on her satellite phone, targeted an artillery strike on the building where she was reporting from. At the time, Colvin was arguably one of the best-known war correspondents at work. With her distinctive black eyepatch, flak jacket and wavy hair tied in a bun, she was familiar to many Americans through her frequent appearances on CNN and other news outlets. To be honest this really was just not for me. Whilst the premise of exploring the mythology surrounding James IV of Scotland was what drew me to this book, the delivery failed to hold my attention. I felt that it was at times repeatative, convoluted, and disorganised. It assumes a prior knowledge of both Scottish and royal history (which I have); however, I guess I was expecting something a little more chronologically presented - dealing with specific themes (birth, life, death, afterlife) individually rather than collectively. I am sure others will like this - just not for me and I left it unfinished. Higham Ferrers 1251 to 1914, a portrait of the town and its people through its historic charters, will be published in June. Higham Ferrers has six charters, five of which have been stored in the town hall. The charters, which set out the legal framework for how the borough of Higham Ferrers was to function, have deteriorated over the years – but Heritage Lottery money was recently made available to preserve them after a bid by Higham Ferrers Town Council, supported by the Higham Ferrers Tourism, Business and Community Partnership. At nearly 300 pages the book tells the stories of the events that happened to Higham people from 1251 (the first charter) to 1886 (the last charter) and beyond, finishing at 1914. The book is fully illustrated with both colour and black and white pictures. There are some very special Frenchmen who have truly endeared themselves to the great British public. Victor Hugo has managed it (we all love Les Mis), Claude Monet generally goes down all right, and those of a certain persuasion may have fond memories of Thierry Henry. But for the true adoration of the nation, one name stands (metaphorically) tall above the rest. 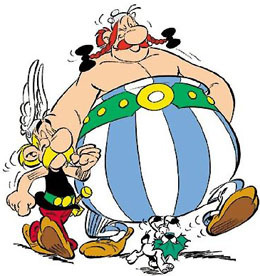 I'm referring, of course, to Asterix the Gaul. After six decades of boar-hunting, Roman-bashing, magic potion-swilling and menhir-delivering, the mischievous, mustachioed warrior has barely aged a day.